Sometimes comments on this blog are worthy of a dialogical response in a post. One such exchange follows after McGowan read "Glenn Beck: thinker, pundit or charlatan?" McGowen is in red. Talk about spin. You should win an Emmy for this piece of double talk. Meaningless speech that consists of nonsense syllables mixed with intelligible words; gibberish. Deliberately ambiguous or evasive language. Also called doublespeak. There's nothing ambiguous in my criticism unless you're accusing me of gibberish. If for example the goal was to reduce emissions there would be a cap bill. Not a cap & amp; trade bill. How does it reduce emissions by allowing companies to continue to pollute as long as they have the money to pay for it? Especially those companies that just pass the cost on to the consumer such as the power companies. I'm not in support of cap and trade. My point is that Beck doesn't know what he's talking about when he addresses the subject. You think that I'm taking a political stand against Mr. Beck; I'm critical about his lies, his hypocrisy and the subject of "thinker, pundit or charlatan." Beck is underqualified to host a current events/history show on TV. I don't care that he wants to take this country back to the days when there were no laws protecting Americans against the excesses and abuses of the large corporations. I know that is so reactionary, most Americans will reject it no matter how loud Tea Party activists are. Take the race in Nevada; Reid is ahead in the polls because Angle is such a wing-nut. Your other points for the most part are deliberately misleading about the direction that Beck is trying to take his listeners. He is talking about a way of life that many in America grew up in and want to perpetuate, in that their lives were based on God,Family,& Country. Where you worked hard to get ahead, respected yourself, your neighbors, and public authority, where you took risks and enjoyed the rewards of success and learned from failures.Where you were responsible for yourself and where you thought everybody who wanted to work had the chance for success. He is talking about community, where we take care of each other, look out for those less fortunate, and do not have to rely on those in Government who purportedly know better than anyone how we should live our lives and have controls for every step we take. I'm not misleading anyone. Beck is very clear: he wants to lead this country BACKWARD into the past. If charity were sufficient for a country with urban indifference, lingering racism over 300,000,000 people, the elites would not provide a safety net. The government safety net is in place because charity is insufficient to prevent discontent with capitalism, to prevent rebellion against capitalism, to prevent a democratic socialist movement from coming to power. For more on this, see "Glenn Beck's road to socialism." The people who rely on government don't do so because bureaucrats "know better than anyone how" to run their client's lives; that's just right wing propaganda. Social workers are available because people come to them for help...because charity is not enough. If you had an open mind and were not trying to spin you would acknowledge the things Beck says that are true, which are many, instead of choosing to present a slant on those things you don't agree with. Is Beck all knowing? No. Does Beck push a way of life contrary to the Left philosophy? Yes Is everything that Beck says based on hard facts? No. Is what Beck says trying to promote a way of life? Yes Beck is an entertainer and a commentator. Most people that watch know this. Most people who watch research what he says and make up their own minds. 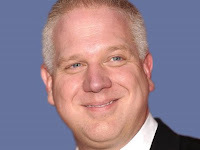 You need to read "Sometimes Glenn Beck is right on the mark." Again, I don't care that Beck is a reactionary because most Americans don't want the Tea Party/Glenn Beck return to a bygone era of politics when corporations dumped on the public interest. Most people won't fall for Beck's reactionary ideals. Beck does say things that are true, but much of what he says is spin to the far right, spin so wound up that it flips off the mandala of truth such as the whopper he told about never "the only time I talked about her, I supported her." Beck gets away with such lies because people like you swallow them hook, line and sinker. My question is, where's your open mind? Can you not see that in order to make his arguments, he lies a lot? That he often says things that violate his own principles? If not, you need to spend time here reading because it's all documented. I believe Beck performs a needed service in that he does make available facts about our current government that you can find nowhere else in the media. You can, once you know the basis,find out about his claims through research to find if they are true or not. Political discourse never needs a liar to distort the views of others. Beck does this routinely. Only the gullible buy his sometimes insanely stupid lies. You need to follow his advice. This isn't about politics; it's about the disservice he is performing. Beck is to political discourse as the oil spill in the Gulf was to the ocean: a toxic and disgusting mess. I really don't care about his politics; I care about his utter lack of ethics. Beck is no more ethical in his arguments than Andrew Breitbart was in any of his dirty tricks. I could watch Rand Paul if he replaced Beck after Beck's vision declines, if it declines. (He lied about maybe going blind, too. Look up macular dystrophy in Web MD; it rarely leads to blindness.) It's not the politics; its the mix of fact and fiction that permeates his narrative. The Left has made Beck out to be much more than he is. They seem to fear him, I know not why. Beck is just a conduit for those who want to learn about current affairs and history and gives us a starting point from which to launch our learning experience. Beck has an agenda. You're naive, a minion or just gullible if you believe that he "is just a conduit for those who want to learn about current affairs and history." Ever hear of the History Channel, or is that just another liberal conspiracy Beck needs to connect the dots on? Ever hear of Democracy Now? You'll get more straight info from them in a week than you get from Fox Reactionary Propaganda in a year. Beck's mission is to distort, lie, deceive all in the service of furthering his (and David Barton's) policy objectives. The Glenn Beck Review is not critical because of Beck's agenda and objectives: this Review is critical because of the dirty tricks, the unethical manner that he conveys his propaganda. McGowen, you never touched upon Beck's idiotic understanding of what supports the Constitution as reviewed in "thinker, pundit or charlatan?" That's probably wise of you; clearly Beck is showing just how ridiculous his thinking is with his claims that ignore objective reality and the canon of political theory. This was super good and now I'm more anxious than ever for you to post my "guest blog." This person might see then that I took the time to open my mind and research Beck and he/she could do the same thing. I do feel like an idiot for ever believing Beck but at least I got out alive, LOL! !